Landowners, Tribes, and community groups are ready to stop the proposed Pacific Connector Gas Pipeline and Jordan Cove LNG export terminal terminal for the third time in 12 years, following yesterday’s announcement by Veresen Inc. that it has filed its permit application for the project with the Federal Energy Regulatory Commission (FERC). The Jordan Cove LNG export project has been rejected twice by FERC – most recently in December 2016. Last year, FERC found that the potential impacts to communities and landowners along the pipeline route were far greater than any benefits the pipeline would generate. But now, Veresen has filed a new application, hoping that a new pro-fossil fuel administration in Washington D.C. will overlook the project’s flaws. It submitted a “pre-application” to FERC in February. The application filed this week kicks off the official FERC environmental review process, including public hearings in the upcoming months. The state of Oregon will simultaneously conduct an environmental review process on state permits for this project. The 235-mile Pacific Connector Pipeline would trample landowner rights, impact Tribal territories, risk polluting more than 400 waterways, drive up energy prices, and create the largest source of climate pollution in the state. 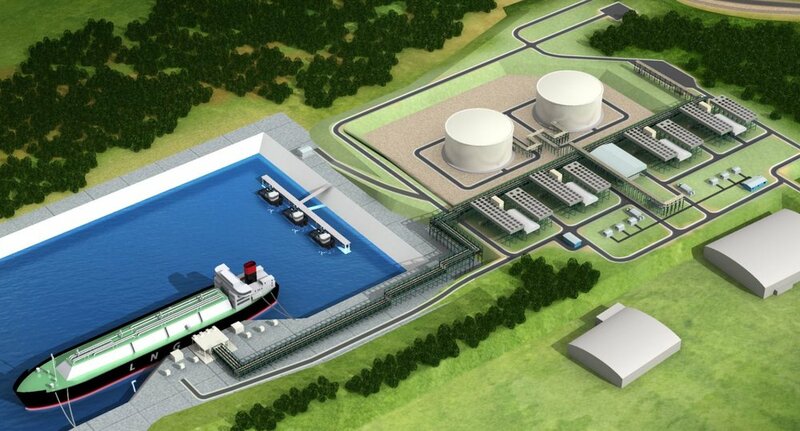 Building the LNG export terminal at Jordan Cove would have a devastating effect on the Coos Bay estuary, and on the important fishing and oyster industries in the area. The Trump administration has openly pushed for the Jordan Cove LNG project, with one White House official saying as early as January of this year the administration would issue permits for Jordan Cove. In response, Sens. Merkley and Wyden called into question the commitment of the administration to a fair and thorough environmental review process. Even if FERC were to approve the project under the Trump administration, Oregon state agencies have the authority to deny permits. "Gov. Brown and our state agencies have a critical role to play in protecting the waters on which all Oregonians depend, ” said Jody McCaffree with Citizens Against LNG “We are counting on our state agencies to stand up for Oregon by denying permits that don’t meet state requirements. This would shut the project down once and for all." Klamath Falls News remains neutral to the support or opposition of the Jordan Cove / Pacific Connector Pipeline Project.